Fable allows students to materialise their ideas in no time and put them to the test. Fast to build and clean up, leaving more time for teaching. The use of Fable can elevate understanding of problem-solving techniques and eliminate the fear of failure for students. 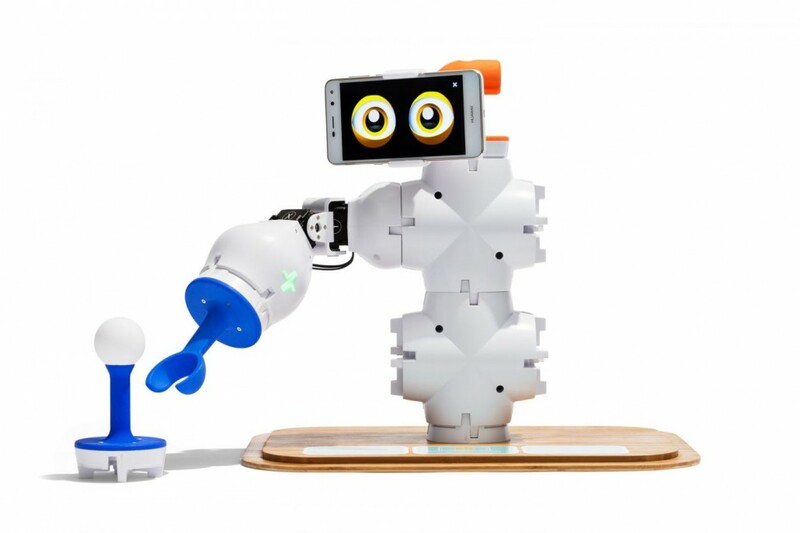 Fable makes robotics approachable and easy to learn. Use it in primary schools (8+ years of age), high schools, vocational schools and universities. Fable is a modular construction system. Students can create their own robot in minutes. Students can assemble modules together in many different configurations. Build custom robot bodies, use the inbuilt sensors and program the robot’s movement. Depending on experience level, students can program using visual blocks (Blockly) or a programming language (Python). After one lesson with Fable students can work toward solving real-world problems. Fable is appropriate for primary school (8+), secondary and higher education. that students can use to create their own robots. Joint module with two strong actuators provide movement to the robots and can be programmed wirelessly. 4XY module with four magnetic couplings. 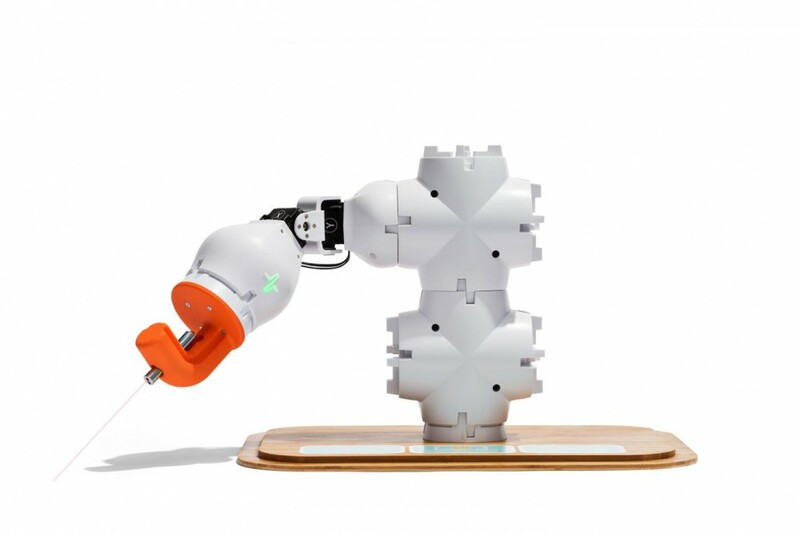 With this module robust robots in many different configurations can quickly be constructed. This Fork is one of several extension modules that you can also print on your own 3D printer. This Brick adapter module enables you to extend your Fable robots with LEGO®. Phone Holder that in a flexible way makes it easy to insert your smartphone into a robot (e.g. running the Fable Face app). This Maze is an extension module that you can also print on your own 3D printer. The Fable Face App gives your robot a programmable personality. 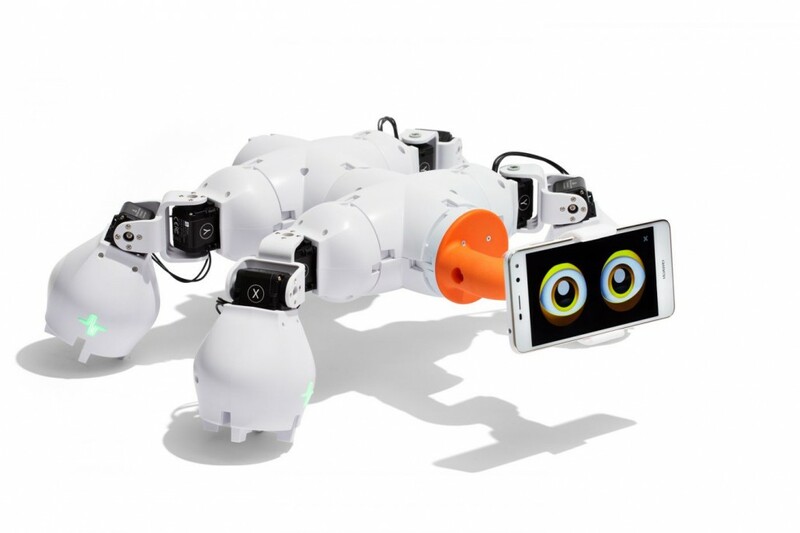 Use the smartphone’s sensors to create advanced robots applications. The Fable Hub (aka Dongle) ensures a wireless connection between the robot and a computer or tablet. The Hub connects with USB to the computer. Fable consists of programmable modules. These have motors, sensors, batteries and are controlled wirelessly. Additionally, the system includes passive parts and accessories enabling many different robot configurations. Students combine modules freely exploring untold possibilities and creating different types of robots. Some robots are pure imagination and build mostly for fun. 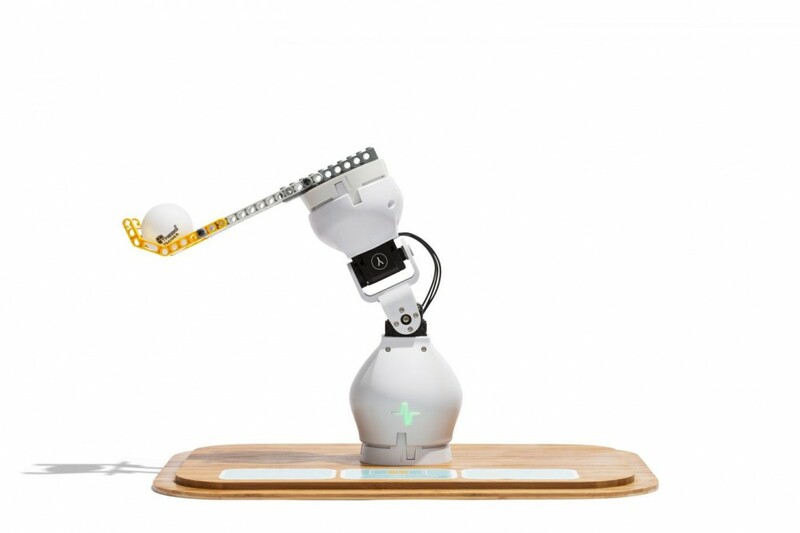 Other robots are carefully designed and ready to solve real-life problems. Students become engaged when they have a problem to solve. 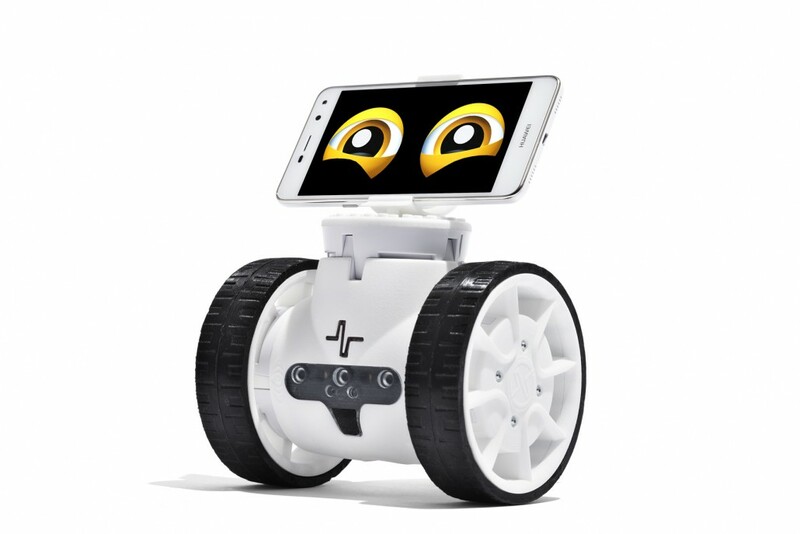 Fable enables students to build and program robots to solve a particular problem. Drag-and-drop programming makes it easy on anyone to start programming. 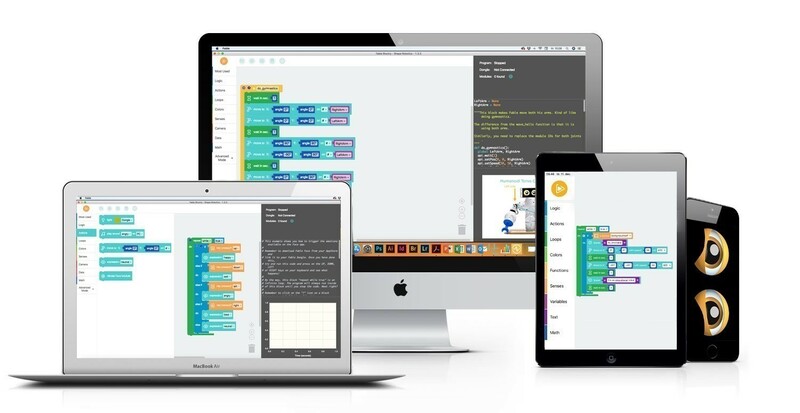 Fable use the Blockly programming language and the application works on both PC and Mac. The Fable Blockly interface includes simple data processing. Graphs and log files can be created for later analysis and processing, e.g. in MS Excel. The Fable interface includes a Python editor for more advanced users. The visual block code is continuously translated into textual Python code to create learning scaffolding. The Fable Blockly iPad App makes it easy and smooth to program Fable on a tablet. The Fable Face App make the smartphone an integrated part of the system. 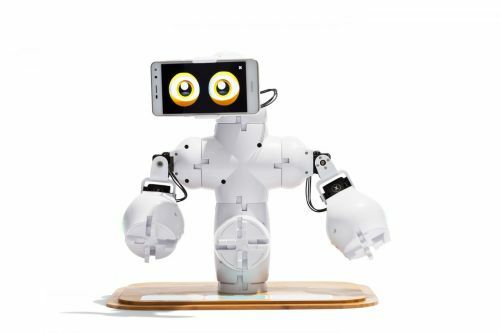 The emotions of the eyes can be programmed and the sensors in the phone can be used to create fun and advanced robots. Flexible programming tools enable you to differentiate teaching styles. This helps students gradually progress from the simple, visual, drag-and-drop programming using Blockly to more ellaborate forms of programming with Python. The Fable application is divided into different levels depending on the students’ level of competence. A very simple visual programming using Blockly, more advanced visual also with Blockly programming, and finally text-based programming in Python. Perform simple data processing: plot graphs or log data to files for later processing, e.g. in MS Excel. We support teachers and educators with a wide range of curriculum relevant educational material. We offer a great variety of STEM modeled lesson plans to use along with Fable. 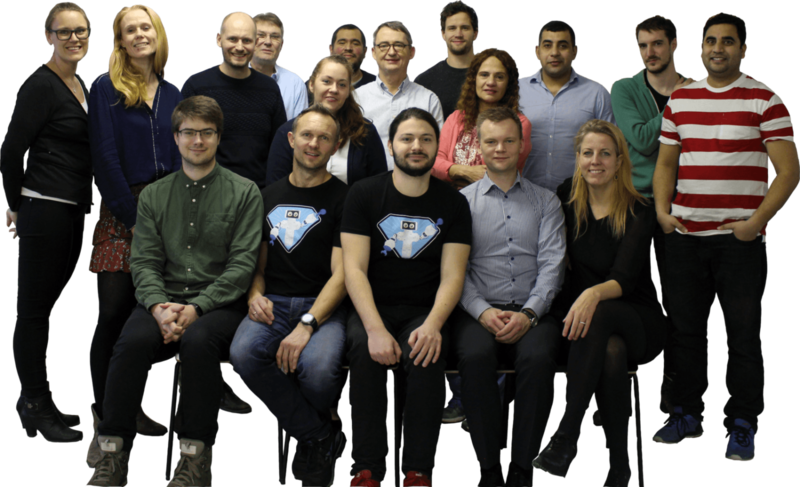 Meet our amazing team! We are totally committed to delivering the best educational robotic system to inspire and empower anyone to solve real-world problems in a fun and engaging way.